The panda is a large and impressive creature. It does not look dangerous, but looks can be deceiving. Are pandas dangerous? The short answer is yes, but these are not predatory and threatening creatures. The Giant Panda seems like a very innocuous animal when observed in the zoo. Few people believe the panda can be dangerous based on what they see of them in captivity. But a famous video surfaced showing a panda ''attacking'' someone who tried to get a picture in front of it. The panda reached through the bars and grabbed the person. While the panda may not have been maliciously trying to attack the tourist, it does not matter what the intentions may have been. The panda could have seriously hurt someone. This brings up an important point. A panda is not and probably never will be a domesticated animal. That means it can be dangerous. There is also a long-standing controversy in biology circles about whether or not a panda is a bear or a raccoon. If it is one or the other, then the creature is certainly a dangerous one. All bears and all raccoons are dangerous. Granted, there is a huge difference between the panda and raccoons and black, polar, and grizzly bears. Some biologists even say the panda may be its very own species. A panda bear is likely going to try and avoid humans. If humans are near where a panda is in the wild, the panda would be more inclined to flee than fight or attack. Often, a panda can sense a human long in advance and will steer clear and for good reason. Humans are predators. That said, anyone who encroaches on a panda will find the creature more than willing to defend itself. It can do so with its paws, large teeth, and great strength. 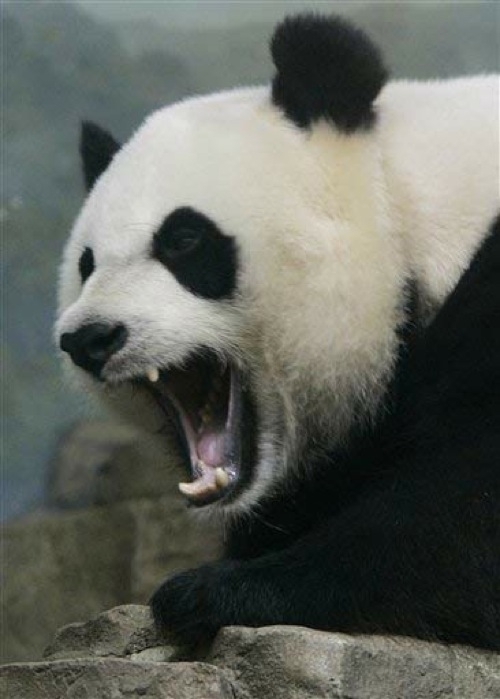 No human is going to physically match the strength of a panda, so if the panda attacks, a human can be seriously injured.